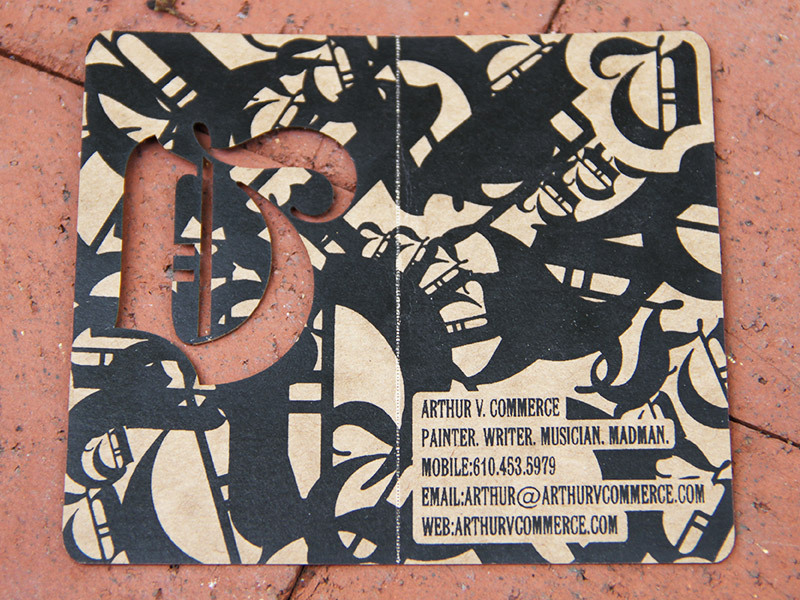 Arthur V. Commerce Cards - Pure Black, Inc.
His titles sum him up (well, somewhat). So what’s this guy going to do for his business card? Easy. 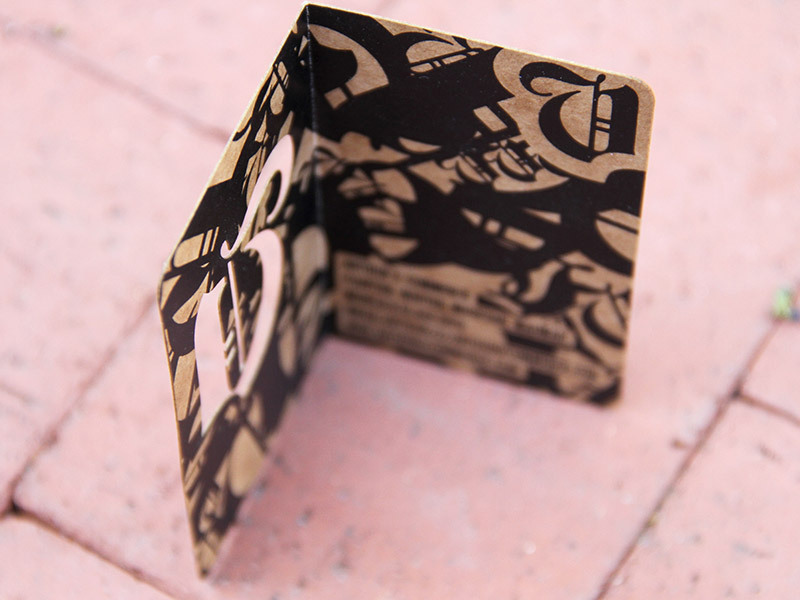 A screen printed “booklet” style business card, laser cut and scored on oilboard. That right there…. that’s a dope business card.